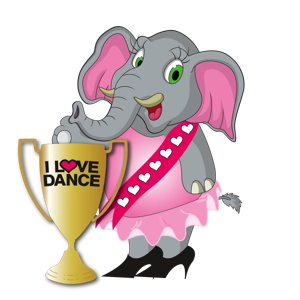 We offer high-quality clothing items, fun souvenirs and beautiful trophies for sale at the competition. We have a few items that may be ordered by telephone. I LOVE DANCE has many bargain costumes from previous Sweetheart floorshows that can be sold in group lots to Dance Teachers and Dance Teams. Our shopping area will be online soon.